Next winter I'll be coming to Japan for a few months from end of December till mid March. It'll be three people, one my girlfriend coming for the first 5weeks and a good friend. Now I've been looking on Japanese housing sites and can find apartments, however unfurnished. No problem, some mattresses will do, but are these available for a few months for Gaijin? Does anyone have any tips? Maybe somebody wants to join? Anyone up for hiking and playing in the mountains next year? Anybody wants something from Holland, i.e. stroopwafels? How long will you be in Myoko for Erik? Will be there for 2.5 months, though also considering Yuzawa but Myoko is on top of the list. I find the combination of several smallish resorts, no offpiste rules and a good park very attractive. 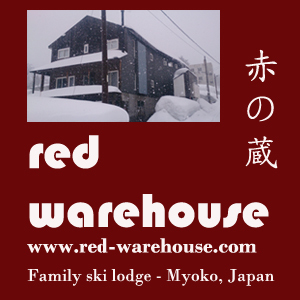 What about staying in Myokokogen in between Mt Myoko resorts and Madarao? Just saw there is also a skateboard park!!! Beautiful!!! If you have a car staying in the town is fine (if you don't have a car it's a bit of a hassle to get over to Madarao). If using public transport better to stay somewhere that's on the shuttle bus routes. What I'd do is start emailing a few of the lodges and find out how much they would charge for 2.5 months. You could probably get a deal for somewhere between 3-4,000 yen a night I would imagine. Thanks for that Myokoguy. What's your opinion about spending 2.5 months in Myoko anyway? We'll do some day trips to other resorts too. If you've got a car Myoko is a great place to be based. You've got 5 resort areas in the immediate area + Tangram, Madarao and Kurohime are near. Within an easy drive are Nozawa Onsen, Shiga Kogen and Togakushi. I'd also check out Huichi Charmant. Your season pass for the Big 4 is only 50,000 yen so you'll basically be skiing for free after the first 15 days use. So how did you go finding accomodation in Myoko?